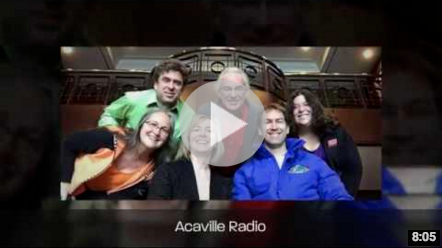 Here's a look back through our history in music and in photos. 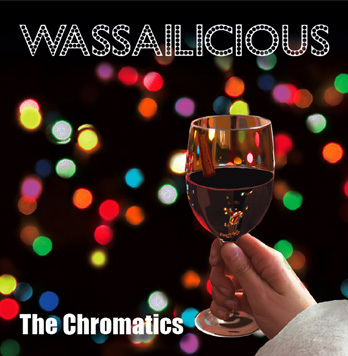 The Chromatics are a high-energy vocal band on a mission to delight audiences with a full spectrum of songs about science, technology, life, and their intersections. 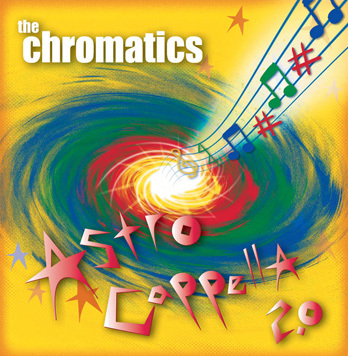 Creators of AstroCappella, and celebrating their 25th year together, The Chromatics bring a youthful exuberance to their fun-filled, colorful, and scientifically-accurate performances. 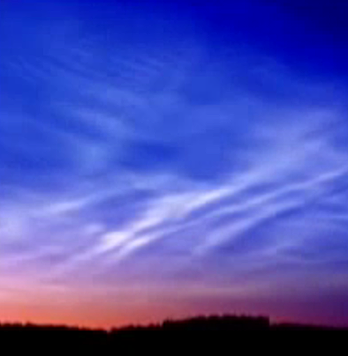 NASA produced this beautiful video about noctilucent clouds, set to our original song about these enigmatic clouds at the edge of our atmosphere. Our submission to NPR's Tiny Desk Contest of our dark take on the effects of television. A dozen original songs on topics from our solar system to the most energetic events at the far reaches of the universe. Sky & Telescope called it "An astronomy class set to music" and Astronomy Today said "Lively, entertaining, and educational". Our most recent holiday CD, complete with original and traditional - and definitely non-traditional - holiday tunes. 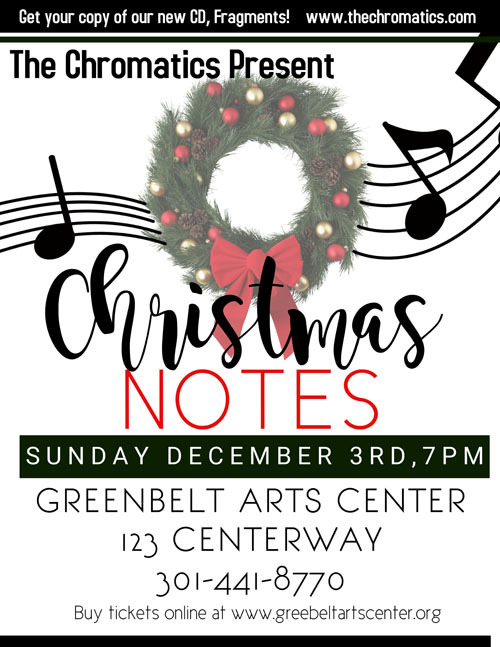 We call it "an unfiltered piquant melange of full-bodied holiday neo-classics." You'll call it fun and festive! Download it now for the holidays! 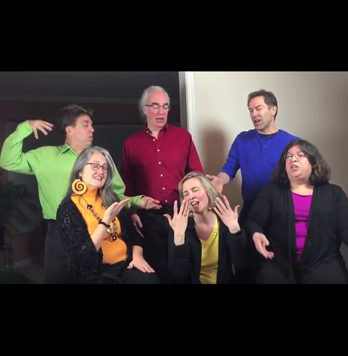 See our dysfunctional holiday cover of "Pachebel's Tantrum" video - on this page. 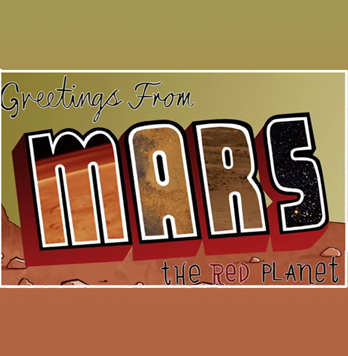 Our song, "Come and Visit Mars" is a travelogue: find out what you need to visit and what it might be like! Animated by MICA instructor Matthew Smith, just for us. 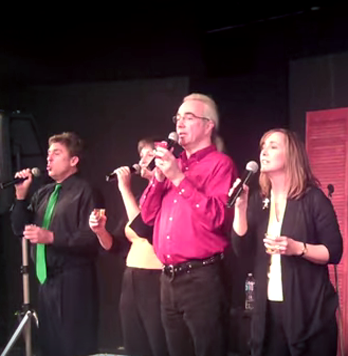 One of our favorite dysfunctional holiday tunes! We cover this Therapy Sisters version of the classic you will never think of the same way again.